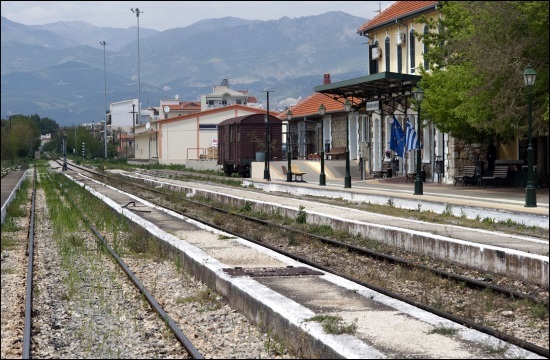 The Sixth Rail Market Monitoring Report (RMMS), adopted by the EC on January 6, showed that by 2016, EU passenger traffic volumes had reached 450 billion passenger-km out of around six trillion passenger-km of land transport overall, according to railjournal.com. Rail passenger traffic is mainly domestic, with only 6% crossing borders in 2016. In the same year, EU freight traffic volumes reached 419 billion tonne-km out of 2.5 trillion tonne-km of land transport overall, with around half of all freight crossing borders. “This lends rail freight a strong European dimension, and makes it even more sensitive to a lack of interoperability and cooperation between national rail networks that can affect its competitiveness,” the report notes. Since a peak in 2011, when it reached 19%, rail’s share of the EU land freight market has dropped, although it remained steady at around 17% in 2016, while road’s share has increased from 75% to 76%. With regards to infrastructure, the total length of the EU rail network in 2016 was around 221,000 line-km, with about 54% of the network electrified. The high-speed network expanded to more than 8400 line-km, having more than doubled in length between 2003 and 2017. Between 2011 and 2016, the market share of competitors, such as alternative operators to national incumbents, grew in most EU countries. In 2016, open access freight operators competing with national incumbents were active in all countries except Greece, Ireland, Lithuania and Luxembourg, and in half of them the market share of competitors was more than 40%. The report indicates that at the end of 2016 just over one million people were employed in the European railway sector, although only 21% of the workforce is female. The report also highlights that the ageing of the workforce continues to be a concern, especially for Spain, Greece and Italy, where more than half of the workforce was aged over 50 in 2016. The report also argued that rail has the potential to play a significant role in accelerating the reduction in transport emissions. While rail only accounts for 2% of total EU energy consumption in transport, it carried 11.2% of freight and 6.6% of passengers of all transport modes in 2016. It is also the only mode to have almost continuously reduced CO2 emissions since 1990: by 2016, it represented only 0.5% of overall transport CO2 emissions.